Was 2015 Really the Year of VOIP ?- Cebod telecom "
Customer service is one of the most important parts of running a successful business. In today’s age, that means making sure the customer has the ability to reach out to you quickly and without incurring extra costs. 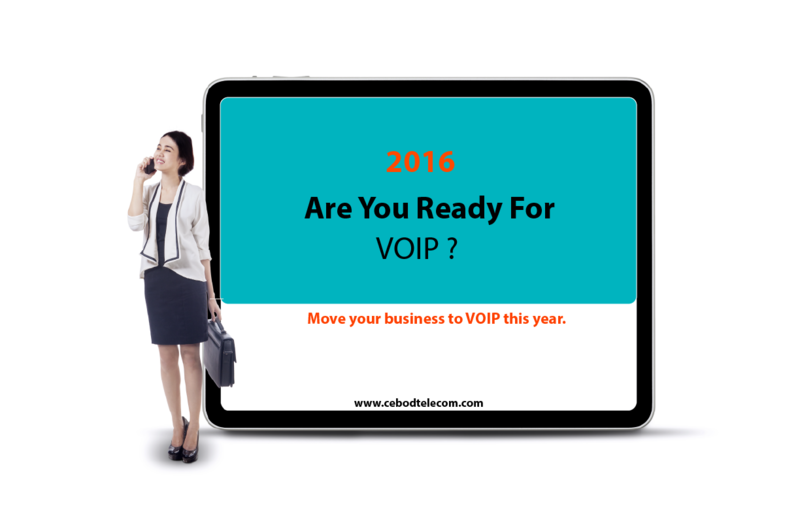 VoIP is the service that is continuing to grow, but was 2015 the year it really shined? The first place to start when determining how vital VoIP was during 2015 is the demand aspect. Technology is continuing to fuel the growth of every industry, which makes the demand on international communication rise. However, while the demand is rising, people still want a solution that is affordable, which VoIP offers. It is still a newer service, so as more people discover its benefits for the business environment, the more the demand will grow. Businesses need to know and evaluate their overhead to make sure they are maximizing their profits. While VoIP is an affordable solution, it is not free. However, it is a much cheaper alternative to long distance phone numbers to reach countries around the world to conduct business. In addition, because VoIP is demanded more, more communication companies are beginning to offer plans. This helps drive the price down and makes it more appealing. In 2015, this was seen and companies, such as Google, even jumped in and started making products to enhance VoIP service. With VoIP’s growth, a variety of industries is beginning to find the service invaluable. While customer service sees the most benefit from a voice chat feature, social dating sites are also finding this feature useful. People want to be able to communicate with others, and if voice is available on a dating site, it lowers the need for long distance phone calls. We are now seeing this ability to call anyone at any time found in all industries. VoIP is continuing to rise in the business industry and the future is definitely bright. Communication companies and Internet service providers will be competing for clients, keeping the prices affordable. In addition, it is likely we will see new features become available to keep lines secure and information confidential. The mobile market gives an interesting twist to voice chat on browsers, as more people are purchasing cell plans. However, VoIP is still extremely vital in many third world countries that do not have cell service but do have Internet. Also Read: How cloud based phone services can help businesses with disaster recovery. So, in conclusion, was 2015 really the year for VoIP. It is still unknown. The future of VoIP is extremely bright and the service has definitely continued to grow each year for the past decade. However, it is believed to still be growing, so it will be interesting to see what new services become available. 2015 definitely brought a new light to the service with more growth and new features. The security of the communication is driving companies to adopt this service throughout the United States. This aggressive drive for adoption is reaching worldwide, so it is very likely that VoIP will not have only one year to shine, but rather several years. What we have seen over the past year or two shows that if the progress continues, we may be looking for the decade of VoIP instead of the year of VoIP.